The gloomy forecast for the financial infrastructure of Berlin came from Stefan Schilbe of HSBC, who described recent downcast economic data from Germany as both “bad and unexpected”. 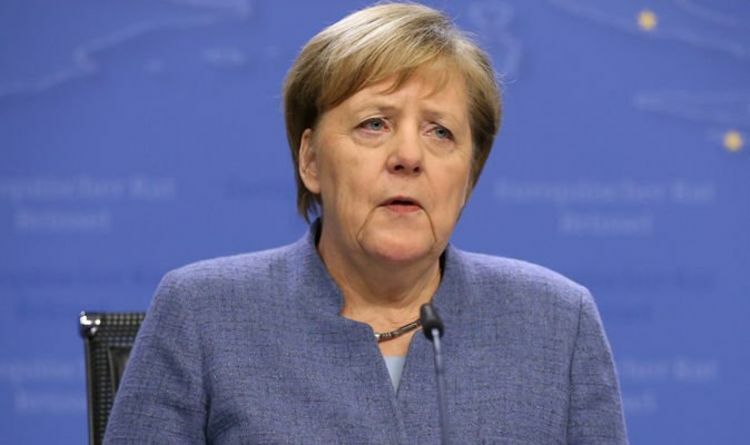 Fears of an economic collapse have intensified in recent weeks after figures released back in November revealed the German economy shrunk for the first time since 2015. Gross domestic product (GDP) contracted in the third quarter compared to the previous quarter by 0.2 percent, according to the Federal Statistical Office. Economists are now warning of a downward trend continuing after a slew of weak economic data continues to point toward a cooldown in Europe’s most powerful nation. A recession is defined by economists as GDP falling for two consecutive quarters. Mr Schilbe told Business Insider: “The decline was broad-based across sectors, with no bright spots. “Manufacturing fell by 1.8 percent month-on-month with the consumer goods sector once again being the major drag. “Today’s data were both bad and unexpected. New pollution tests that were introduced back in September are thought to have dented finances after some car models were not given enough time to approve new registration, forcing manufacturers to throttle production. Yesterday saw Germany hit by weaker than expected industrial output figures for the third consecutive month. Data released on Tuesday by the Federal Statistics Office in Germany showed industrial output fell by 1.9 percent on the month in November, lower than the 0.3 percent increase that had been forecast. Peter Altmaier, Federal Minister for Economic Affairs and Energy, last month lowered the government’s growth forecast for 2018 to around 1.5 to 1.6 percent, down from the previous estimate of 1.8 percent. Phil Smith, principal economist at IHS Markit, said: “With things having got a little too hot at the end of 2017 a correction was inevitable, but the extent of the slowdown has been somewhat a surprise.